The old saying that marketing is everybody’s business applies to voluntary non-profit organisations as much as it does to commercial entities. It matters how we present ourselves in networking and representative situations. Every function and event that we attend as association executives and charity trustees can be seen as an opportunity to promote our industry and its members or to project our charity as a worthy cause deserving of financial support. First impressions count and with it our ability to express in a few words our purpose and function. What we are talking about is an elevator pitch that can be applied at every social or formal occasion to build relationships and create understanding. It assumes greater importance in a world where 150 character tweets and text messages rule the airwaves, with short attention spans to match. Jo Card in Third Sector recommends five approaches to construct an elevator pitch that works. Describe your non-profit’s mission and bring it to life. You must be able to explain what your organisation does in a few short sentences. If you have 30 seconds with somebody you meet for the first time, you cannot afford overloading them with information. You also do not want to make it so simple, that it fails to distinguish you from others in your industry. To be compelling requires that you avoid technical jargon or formal language unless you converse with somebody from a similar background. One way to do it is by shortening and simplifying the mission statement without dumbing it down. It means concentrating on the most important parts and expressing them as plainly as possible. The aim is to let your listener understand it in the time it takes to ride up a lift and making it engaging enough to make them say “tell me more”. Know who you are talking to. 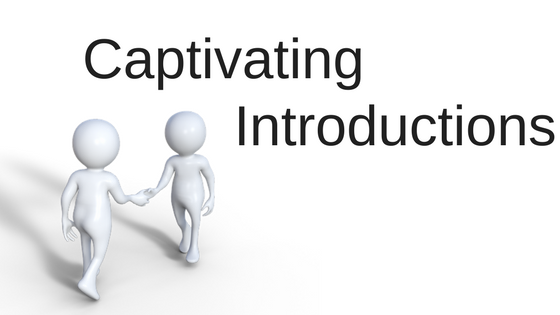 Taking the initiative in asking first “what do you do” you gain the advantage of adjusting your introduction to the persona of your new contact. To make the most of every chance meeting you must attune your elevator pitch to suit the occasion. Establishing common interests early in the conversation you lay the foundation to keep the dialogue going. This element is critical for securing further engagement. It allows you to speak to the interests and work of the other person. Your elevator pitch should appeal to a common interest. See the person you are talking to as a potential customer of your member’s goods and services or financial supporter and influencer speaking on your behalf. Practice before you apply your elevator pitch. This is best done in a group environment that involves every member of your team, regardless of their role inside or outside the office. Ideally it should also extend to your elected office bearers as ambassadors for the brand. It should result in a crystal clear message and cover answers to questions like “What do you mean by?” and “What makes you different? Are there not other organisations doing the same or similar things”. Your elevator pitch is a calling card, but should not sound like a rehearsed speech or sales pitch. For best effect it should align with your organisation’s website and LinkedIn profile. 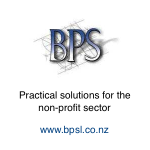 Has anyone got any research or information on what investors, grant and philanthropic organizations are specifically requiring for their investment – metrics, outcomes, performance data etc from funding recipients, especially philanthropic.